Make no mistake, Oprah is still really rich, but the beautiful Nigerian fashionista Forlounsho Alakija is richer. 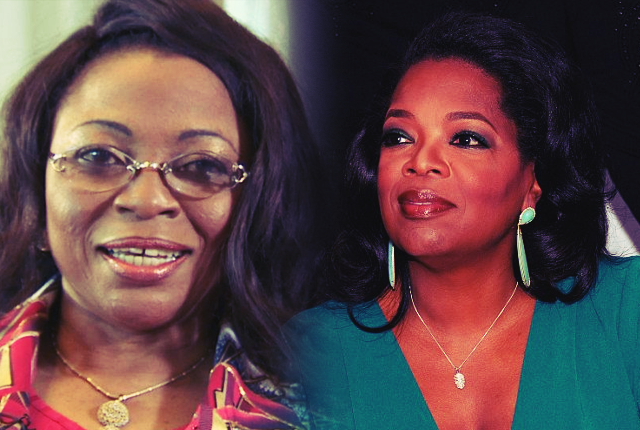 Alakija's networth is estimated to be about 300 million dollars more than Winfrey's and that gap is pretty hefty. Forlounsho's immense wealth can be attributed to her high-end lable, Supreme Stitches, and her oil-exploration license. It doesn't need to be said that the 62 year old power woman isn't hurting for money. We must recognize though that Alakija has not always been this wealthy, she started her career as a secretary and then in the 80's traveled to England to attend school for fashion. Hence, her hard work has paid off.